The picture Europe has (had) of the Southern Seas is still very much the product of the great voyages of the discoverers of the 18th Century: Wallis, Cook, Bougainville, to name just a few of more the important commanders. Experiences made and impressions gained by various travellers found their way into the World literature, think of Melville, Stevenson or Chamisso. Fine art, particularly the paintings by Gaugin, also shaped our mental picture. The liberal social customs of the (female) islanders inspired the imagination of the male European population - who doesn't know the story of the mutiny on HMS Bounty ! The interest in and the scientific techniques to investigate foreign cultures slowly developed over the past 200 years. So much of the material and spiritual culture of Oceania disappeared or was replaced (often deliberately) by European goods and concepts before it could be documented. A process that accelerated since the early decades of the 19th century due to increasingly frequent contacts with European and US whalers, traders and missionars. 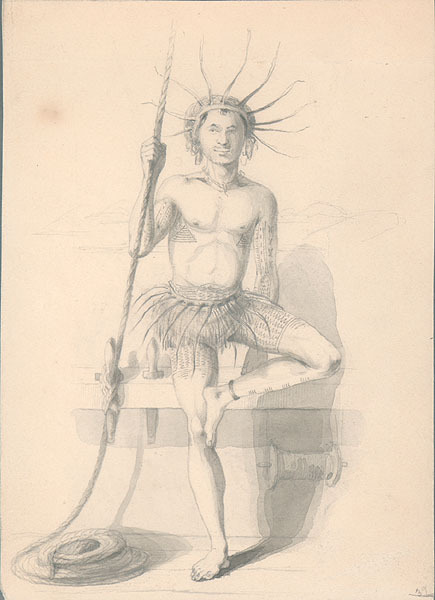 This affected also the perhaps most important cultural and technological achievement of Oceania: the sea-going boat and the navigational traditions, without which the settlement of the Pacific Islands would not have been possible. Based on the geographical situation and the ethnographic results of a complex history of settlement (e.g. IRWIN, 1994), today we distinguish the three mega-regions of Melanesia (i.e. the islands of the dark-skinned people), Polynesia (i.e. 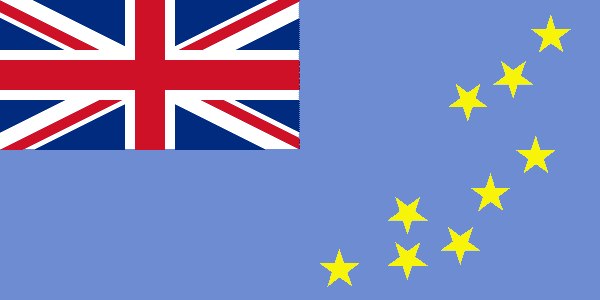 the region of the numerous islands), and Micronesia (i.e. the region of the small islands). The cultures of Poly- and Micronesia are characterised by the absence of metals and pottery; which is due to lack of suitable raw materials. In pre-European times all artefacts were made without the use of metals. Considering the type and limited availability of raw materials, the boat building techniques were at an amazingly high level of development. In many regions sophisticated techniques for assembling big boats, or rather small ships, from small planks had been developed. However, such boat had largely ceased to be built before the first Europeans had the opportunity to view them. Nevertheless the first explorers were suitably impressed by the size and numbers of boats they saw. Today, traditional boat building is only practised in a few remote regions that do not have the resources to acquire the products of Western technology. Though still in daily use in the late 20th century, these important artefacts are under threat to vanish and to be relegated to museums (e.g. the Bernice P. Bishop Museum on Hawaii). The Ethnographical Museum in Berlin-Dahlem is lucky to own a small collection of traditional boats from Oceania that had been built mainly in the early years of the 20th century. They have been largely collected during the early years of the 19th century, when parts of Micronesia and Melanesia were colonies of the German Empire. Others have been built to order for the museum after WWII or collected during the expeditions in the 1960s of its then director Gerhard Koch. Further prototypes and models can be found in other museums (in Europe, for instance, in Hamburg, Bremen, Paris and London). The scientific investigations and compilations by HADDON and HORNELL (1936-1938) or NEYRET (1976) are important sources on the boats of Oceania. There is also a number of monographs on the seafaring of certain islands or groups of islands. A bibliographic overview up to the early 1990s is given, for instance, by GOETZFRIDT (1992). Niutao (Ellice-Islands, Tuvalu) is one of the most northern atolls in the group of the Ellice islands which became independent in 1978 within the Commonwealth under the name of Tuvalu. The polynesian ancestors of the just 9000 inhabitants migrated here from Samoa. In addition some not necessarily always peaceful contacts with the Gilbert-Islands to the NW are recorded. The natural material resources of Tuvalu are rather limited, which includes the rather precious boat-building materials. However, suitable logs are easier to obtain than on the Gilbert-Islands, for instance, and so dugout construction was possible. I noticed the outrigger surf-boat from Niutao many years ago in the Ethnographical Museum in Berlin-Dahlem. In addition to photographs, sketches and measurements taken with the permission of the museum, the works by KENNEDY (1931), HORNELL (1936) and KOCH (1961,1984) provided valuable source information on its construction and use. In the early 1960s the then director of the museum, Gerd Koch, undertook field studies on the Ellice-Islands and also recorded the daily life on motion pictures. Filmed on location in 1961 by G. Koch, Berlin. The northern and southern Ellice-Islands show differing constructional details, though northern features have been diffusing to the South in more recent decades. In addition, the influence of more recent migrants from Samoa is detectable. This demonstrates that constructional features and design have been subject to change over time. Hence, it is difficult to fix a particular time period for a model reconstruction. A comparison of the prototype in the museum in Berlin with contemporary sources also indicates a certain variability in construction at one place. Structurally, the hull of the Niutao-boat is composed of five elements: the dugout proper, a raised wale on each broad-side and bow and stern covering-pieces that are shaped as breakwaters. Following the terminology of GREENHILL (1972), this design would be classified as an ‚extended dugout’. The actual construction process and its ethnological context has been documented by KENNEDY (1931) and again KOCH (1961,1984). The tree-trunk was shaped using axes and adzes – originally fashioned from shells (e.g. Tridacna gigas and later using imported steel tools. The efficient hollowing-out of the interior was effected by hollow adzes in a pivoting mounting. The thickness of the hull is at places a mere 1 cm. The prototype in Berlin still shows the toolsmarks on the interior surface, while the exterior was smoothed down using rasps made from ray-skin and by rubbing with chunks of coral. The five parts of the shell are tied together using thread made from coir. In the older times seams were caulked using strips of Pandanus leaves. Before steel tools became available the holes for the tie-downs were drilled with bits fashioned from seasnail-shells. The literature cited above goes on to describe in detail how the parts were fitted together in a process not unlike modern European mechanical workshop fitting techniques. The Niutao-boats were designed for fishing outside the coral reefs surrounding the island. For most of the time and at most places the Pacific swell runs up to a heavy surf over these reefs, making the islands difficult to access. The shape of the boats from different islands and even from different beaches of the same island shows subtle adaptions to the operational needs. Thus some boats are sharper than others or have a sharper main cross-section. In some boats the keel-ridges are running somewhat askew to the main axis of the boat, which is thought to improve its directional steadiness when paddled against the sea (KENNEDY, 1931). Most notably, however, the main waterline is slightly assymetric to counteract the drag from the outrigger. The floating boom of the outrigger is also not truly parallel to the main axis of the boat, but slightly askew. This ‚plough’-arrangement improves the turning towards starbords, though at the expense of a slightly increased resistance when paddling straight ahead. While considerable effort is expended on finishing the hull, the floating boom of the outrigger is often fashioned only roughly from a log. The design of the outrigger is another distinction between the boats from the northern and the southern islands. The three to four transversal members of the northern prototype are fashhioned from a single thin and long branch that is bent down down to the float in a curve. In the South, more complex constructions evolved, perhaps influenced by Samoan building traditions. The outrigger can be fastened to the hull in various ways and the ‚correct’ execution is important to secure the benevolence of the gods (and certainly also from an engineering point of view). In the North, the transversal members are lashed to three hardwood-pins driven into the float. Halfway between the hull and the float a longitudinal member is lashed onto the transversal members. This stiffens the design and and also serves as a carrying handle when beaching the boat. The space between the longitudinal member and the hull is filled with a grille from thin twigs that is useful as a carrying platform for fishing gear etc. The long rods for bonito (a sort of tuna, Katsuwonus pelamis) fishing and nets on a pole for catching flying fish are carried on two crotches lashed to the outrigger. The interior of the boat is furnished with seats for the fischerman and the boat-steerer. The other paddlers of the customary six-man crew sit on the transversal members of the outrigger. A rest for the bonito rod is fitted right at the stern end of the open space in the boat. The rod is secured underneath the boatsteerer's seat by a coir loop. The paddles are shaped like large spearheads, the paddle of the steerer being the longest. The model was constructed in the 1:87 scale in order to take advantage of commercially available figurine in this model railway scale. The hull was carved from Castelo, the Westindian variety of boxwood. Castelo is very similar to European boxwood in terms of colour, texture and workability, but cheaper and available in larger pieces. A piece of a 6 mm by 7 mm cross-section and of 95 mm length was fashioned on the table saw. The next steps followed the usual practices of carving hulls from the solid. Side elevation and plan view were drawn with the aid of a computer, printed to correct scale, cut out and glued to the piece of Castelo. The central reference line and the separation line between the lower dugout and the covering pieces were marked first. The amount of carving work was reduced by cutting away large sections at bow and stern using the table saw. A spokesheave helped to remove larger amounts of wood from the rise of the floors etc. The outside was further roughned out by ‚abusing’ the pillar drill as an improvised drumsander. The outside was finished using emery paper as well as grinding bits in a handheld microdrill. The hollowing out is best left to after this step. The hull was now taken with caution into a vice that can be slid along the table of the pillar drill. A small end-mill somewhat smaller in diameter than the opening of the deck starts the hollowing-out procedure that is continued using spherical milling bits. The depth-stop on the drilling/milling machine prevents unpleasant surprises. The hollowing out is finished using steel and diamond-studded burrs in a handheld microdrill. The eveness of the wall thickness can be checked by holding the hull agains the light. Bow and stern are only slightly hollowed out, contrary to prototype practice. In the next step the covering pieces with their breakwaves are carved out. The seams between the different constructional parts are incised using a graver, as are the grooves in which the bindings would be running on the prototype. These incised lines are later made more prominent by letting some dye running into them. The float was fashioned from a small piece of beechwood, which gives it a prototype-like rougher appearance. The hardwood pins of the prototype were replaced in the model by short lengths of 0.3 mm steel wire for the sake of higher strength. The remainder of the outrigger was constructed from copperwire of various diameters. Cautious bending, light tapping with a hammer and straightening by hand of the wire results – after appropriate painting – in a look like thin tree branches. The ‚branches’ received a base coat of Humbrol ‚British Army Desert Yellow’ that closely resembles in hue the Castelo used for the hull. The four transversal members of the outrigger are actually thin strips of pliable beechwood that had been rounded using a drawplate. These round pieces then were slightly tapered using a fine diamond file. All parts of the outrigger were lashed together prototype-style, though with somewhat simplified bindings. The coir were replaced by a very thin silky yarn (fly-tying silk resp. 'Repassiergarn') that had been dyed to a dark brown. Though indeed the finest yarn available, the material used is at least five times the prototype diameter, which accounts inter alia for the need to simplify the bindings. All bindings were secured with a drop of zapon varnish. The paddles were carved from shims of Castelo. The handles were brought down to the correct diameter (0.5 mm) and rounded using a drawplate. A bailer with the inside-handle typical for many areas of Oceania was carved from a small piece of Castelo. Unlike for the boats from the Gilbert-Islands, the written accounts of the boats give no indication as to whether the hulls received any protective coating, such as a rubbing with coconut oil or a smearing of chalk. The prototype in the museum in Berlin appears as if being polished from long use (or did the museum warden go over it with furniture polish ? ), but different parts of it have aged differently. Hence the model was aged somewhat by washes of black and brown watercolours before it was given a light coat of brown tinted varnish. The lustre of the varnish was broken by rubbing the hull with pumice powder. The outrigger was given a similar paint finish. It is debatable, whether humans are the measure of all things, but their miniature alter egos can be used conveniently as a scale for their artifacts. A scenical setting, particularly of such exotic subject as the canoe, helps to illustrate the prototype use and its environment. The islanders were created from the Preiser ‚Adam and Eve’ kit that is wonderfully sculpted and moulded, down to individual fingers in near-scale thickness. According to ethnological descriptions and early photographic images the Polynesians often were of well-proportioned, sometimes even athletic appearance, if somewhat inclined to obesity. Hence the Preiser figurines in their idealised habit were certainly not a bad choice. Photographs in KOCH (1961) and KENNEDY (1931) show the people in the traditional ‚toutou’ made from strips of processed pandanus leaves. Whether they wore these then just for the ethnologist or for lack of spending power for western goods must be left open to conjecture. In many parts of Oceania imported printed cotton (calico) began to replace traditional fabrics already in the second half of the 19th century. When creating the scene, I had in mind a period before the Pacific islands were swamped by imported goods from the Western world. From the collection of body-pieces in the kit several figurines were composed that either related directly to the boat or may have a more 'social' function. It may be noted that in some areas the fishing boats were ‚taboo’ for women. The ‚toutous’ were fashioned from strands of very fine steelwool. After a basecoat of flesh-colour applied with an airbrush, the details were picked out using the usual painting techniques for such figurines. The palm trees are home-made, using etched fronds from the Scale Link range. The trunks are made from stiff wire with ordinary packeging string wound around it in several layers. If one looks at the way a palm tree grows, one will find that the fronds are arranged in a spiral fashion. This leads itself to reproduce the pattern by winding string around a wire core, which can be bent to the interesting curves you often find in coconut trees. The trunks then were soaked in wood filler and painted. One will need several layers closer to the bottom end of the trunk. Finally, narrow strips of toilet tissue were wound around the trunk and also soaked in the wood filler. The trunk was given a base coat in some brownish-greyish colour. I then went over it again with slightly darker and lighter hues to produce a somewhat mottled effect. Finally, the texture was highlighted using some whiteish paint in a technique, which I invented for myself in the early 1970s and which now seems to go by the name of 'dry brushing'. The etched palm fronds were given a dark green base coat and the ribs etc. picked out in a ligher green. Again 'dry brushing' adds plasticity. The etched parts were tied to the wire core of the trunk using thin copper wire, arranging them in the mentioned spiral fashion. The whole assemblage was fixed with a few drops of white glue. White glue is also used to stick pulled out fibres of the string in between the palm fronds to represent the stubble of old fronds. After applying some woodfiller to stiffen the whole assemblage, it was painted as the trunk. The unripe coconuts are mustard seeds dyed green. GOETZFRIDT, N.J. (1992): Indigeneous Navigation and Voyaging in the Pacific — A Reference Guide.- Bibliographies and Indexes in Anthropology, No. 6, New York etc. (Greenwood Press). GREENHILL, B. (1976): Archaeology of the Boat.- 319 pp., London (A. and C. Black). HADDON, A.C., HORNELL, J. (1936-38): Canoes of Oceania.- 3 Vols., Bernice P. Bishop Mus. Spec. Publ., 27/28/29, Honolulu, Hawaii (Nachdruck 1976). IRWIN, G. (1994): The Prehistoric Exploration and Colonisation of the Pacific.- 240 S., Cambridge (Cambridge University Press). KENNEDY, D.G. (1931): Field Notes on the Culture of Vaitupu, Ellice Island. The Ellice Island Canoe.- Mem. Polynes. Soc., 9(Suppl. to J. Polynes. Soc., 38(4): 71-99. KOCH, G. (1961a): Die materielle Kultur der Ellice Inseln.- Veröff. Mus. Völkerk., Neue Folge 3, Abt. Süseee I: S., Berlin (SMPK). KOCH, G. (1961b): Polynesier - Niutao (Ellice-Inseln). Bau eines großen Auslegerbootes.- Encyclopaedia Cinematographica, Film E408/1961. KOCH, G. (1961c): Polynesians (Niutao, Ellice Islands) - Making Coconut Fibre Cord.- Encyclopaedia Cinematographica, Film E411/1961. KOCH, G. (1961d): Polynesians (Niutao, Ellice Islands) - Catching Fish on the High Seas (Catching Bonitos).- Encyclopaedia Cinematographica, Film E412/1961. KOCH, G. (1984): Boote aus Polynesien und Micronesien.- in: KOCH, G. [Hrsg. ]: Boote aus aller Welt — Katalog der Ausstellung 30.01.-05.05.1985, Berlin-Dahlem: 11-31, Berlin (SMPK/Frölich & Kaufmann). NEYRET, J. (1976): Pirogues Océaniennes, Tome II — II. Polynésie, III. Micronésie, IV. Indonésie, V. Inde, VI. Autres Continents.- 315 pp., Paris (Assoc. des Amis des Musées de la Marine).